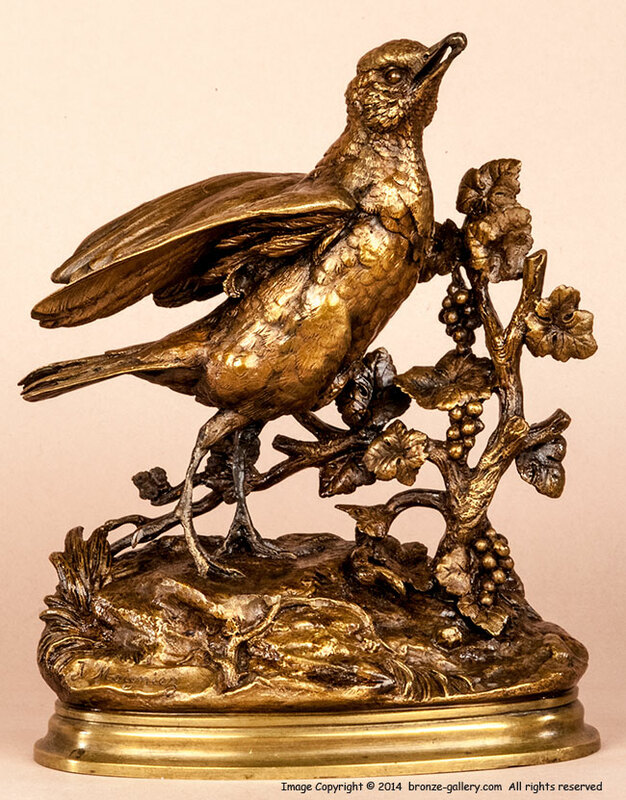 Moigniez was well known for his many sculptures of birds of all types and their activities. His work is always well detailed and true to life, showing his subjects as they live their lives in the wild. He really captures avian life and his birds are shown nesting, fighting, eating, flying, courting and taking care of their young ones. 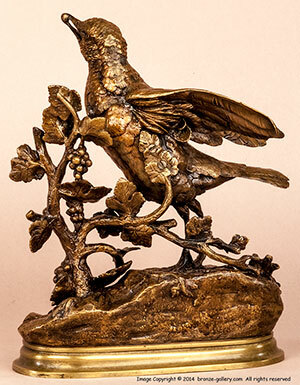 This interesting bronze shows a Song bird or maybe a mocking bird as it reaches up to eat berries from a vine. The Bird stretches up on his toes to reach a ripe juicy berry, and as many farmers can attest, the birds seem to know which berries are the best and ripest ones. A fine and lively model, this bronze is a mid 19th century cast done by Moigniez in his own foundry. It has sharp details and a warm golden patina and is signed on the base.